If you either have an existing system to be upgraded or have decided to opt for a whole new central heating system, you will have to give careful consid­eration as to the type of boiler. This is after all the heart of your energy­ efficient home, and making the right choice can make a big difference in tjherms of CO, production and money saved. We look eagerly at the fuel effi­ciency (m.p.g.) of cars but rarely do we look at the comparative costs of different boilers, which could be using far more fuel than our car. How much of the potential energy in the fuel that is fed into the boiler ends up in the heated water? This proportion, if expressed as a percentage, gives a measure of how efficient your boiler is. Usually it is between 60% and 90%. The most efficient boilers in terms of low carbon dioxide emissions are natural gas boilers, and the most efficient of all is the condensing type. Unlike most boilers, this maintains a high efficiency even at low loads. 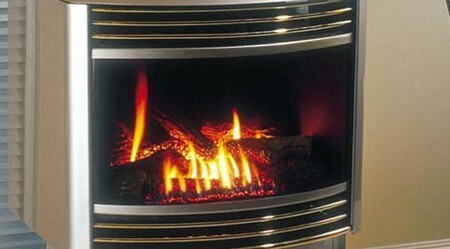 Its ‘cycling’ effi­ciency is close to 90% compared with 70-75% for a new conventional gas boiler. To achieve this increase in performance, the waste flue gases, which contain steam from the burning methane, are cooled by the water returning from the radiator circuit. The steam condenses, giving up its high latent heat. The cooler the return water temperature, the more efficient the boiler will be. There are many other types of boiler on the market but none approach the gas-fired ones when it comes to energy efficiency and ecological perfor­mance. If you have an existing boiler which is still relatively new and is not vastly oversized, then pay attention to maintaining it at peak efficiency until you have a chance to replace it. Most circulating systems have a flow pipe carrying hot water from the boiler and a return pipe taking it back. 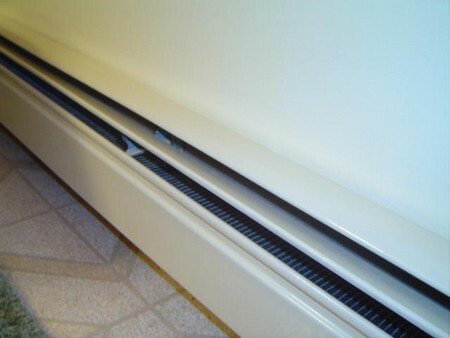 Each radiator is connected to both. This ensures that all radiators get hot water direct from the main flow pipe. In a single pipe design, used in some older systems, the water flows from one radi­ator to the next and only the last radiator in the circuit is directly connected to the return pipe. Older systems also used large diameter pipes because the water flowed in a convection loop (or gravity system) without the aid of a pump. Since the introduction of electrical pumps the trend has been to smaller and smaller bore pipes under greater pressure. Small bore pipes are generally either 15 or 22mm in diameter (most systems use both sizes for different flow-rates according to how much water they need to carry). Microbore systems have yet smaller pipes again—between 6 and 12mm in diameter—and each radiator has its own flow and return pipe connected to a central manifold. These systems can be very neat and avoid the need for much damage to the existing structure during installation. Where pipes are passing through base­ment or underfloor areas, lofts or unheated spaces, they should be lagged. This is particularly important for flow pipes which take the hot water to the radi­ators. The exceptions are where you would like to make use of the heat from a particular section of pipe—through a cupboard, for instance, to keep it aired. Each radiator needs to be ‘balanced’ with the rest of the system in order to ensure that water is flowing through all the radiators equally by adjusting the valves at either end. Radiators collect air that has become dissolved in the water and need to be bled at least at the beginning of each heating season and more often if the water has had to be changed. Fix a shelf above the radiator—this will help to throw heat back into the room that would otherwise go straight up the wall to the ceiling. If fitted beneath windows so that the bottom of the curtain can rest on the shelf, this will prevent warm air from being lost between the window and the curtain. Place an insulated reflector between the radiator and the external wall— this reflects the heat back into the room. Probably the most important way in which you can save wasted heat is to have adequate controls and know how to use them. Controls will keep the rooms only as warm as you actually need them, and be able to turn the system on and off as required. They can, for example, turn the system off during the night when it is not required, and off again during the day when there is a higher external temperature. These controls need to be sophisticated enough to be able to perform what is required and yet simple enough for us to understand them. They can be tailored to the needs of the house and its occupants. What are the different types of control? There are the thermostats which are situated wherever it is necessary to monitor and control the temperature, of water in the system or the air in a room or even outside the house. Then there are the timers and programmers which send signals for systems to be shut down or opened up at pre-set times.